Height 5 feet 11 inches. Weight 173 lbs. Chest 36-39 inches. Complexion fair. Eyes grey. Hair brown. Sight and hearing both good. Colour vision correct. Limbs and chest well formed. Full movement of joints. Heart and lungs normal. Teeth fair. Free from hernia, varicocele, varicose veins, haemorrhoids, inveterate or contagious skin disease. No vaccination mark. Good bodily and mental health. No slight defects. 14 January 1916 he was admitted to N.Z. General Hospital Pont de Kontbek(? ), with septic sores; progress satisfactory. 21 September 1916 wounded in the Somme battle. Rejoined Regiment on 22 November. 2 February 1917 he was admitted to Walton on Thames Hospital, with scabies. Duncan Thomas Gillespie was born in Timaru on 7 March 1891 and he was the much loved third child of William and Ann (nee Fraser) Gillespie. He had two older siblings, Ida Elizabeth & Hugh Graeme and three younger, Catherine Effie, Robert Fraser and George William. At the time of William and Ann’s marriage, William was working as a shepherd at Bluecliffs Station, but later he worked at Mt Peel Station, Kyeburn and Mt Nessing. William was then shepherd/manager of the Upper Waiau Station and it was there that Duncan attended the Upper Waiau Ferry school. While attending the school Duncan and his sisters Ida and Effie all wrote to the Weekly Press and had letters about their animals and what was happening on the farm and at school published in that paper. In mid-1906 his father William bought a dairy farm in Breezes Road, New Brighton, where he milked cows for the town supply. Duncan finished his schooling at Central New Brighton school, his last attendance was 16 November 1906. On leaving school Duncan was a shepherd and drover in the South Canterbury area, where he could indulge his love of horses and dogs and all things country. At the time of his enlistment he recorded his last residence as c/o his uncle Tom Fraser, at Peel Rd, Peel Forest and he was working as a shepherd/manager at Ben McLeod for the Acland Bros of Mt Peel Station. Duncan’s medical check was done in Timaru on 16 February 1915. He was 5ft 11ins in height with grey eyes and brown hair, teeth described as fair. Duncan joined the 2nd Company, 2nd Battalion (South Canterbury) Canterbury Regiment. Duncan was one of 123 local men, who joined 500 men from further south that already on the train, which left from the Timaru Railway Station in mid-April 1915, en route for the Front. The Mayor spoke at the farewell, wishing them the best of good fortune and complimented them on the manly stand they were so freely taking in going to help to break the sway of one of the greatest despots who had ever lived. He wished them all a safe and speedy return, before the train steamed out of the station to the accompaniment of cheering and good-bye messages. 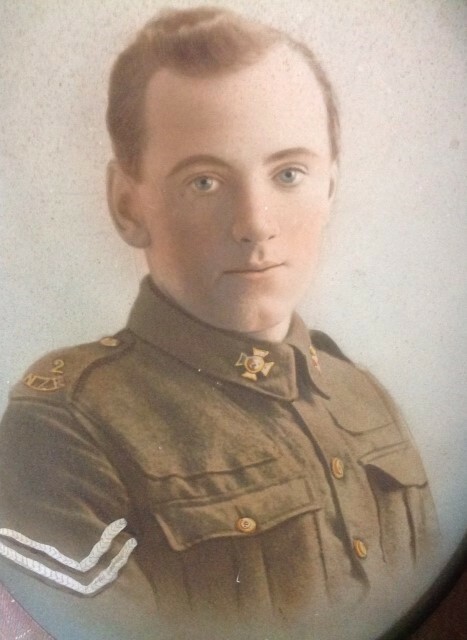 He was 24 years of age on enlistment at Trentham on 17 April 1915 (the same day as his brother 6/2631 Robert Fraser GILLESPIE also joined the army). There was innoculated for typhoid there before embarking in August. He left NZ with the sixth Reinforcements bound for the Middle East – on the same ship as his brother Robert. From the Egypt Duncan was re-embarked for France on 7 April 1916. A few weeks later he was appointed Lance Corporal on 29 April 1916. Duncan apparently had a very good voice and he often sang to the troops. Duncan was wounded at the Battle of the Somme in France on 21 September 1916. He rejoined his unit in November following his recovery. Duncan was promoted to Corporal in December 1916, but shortly after was admitted to hospital at Walton-on-Thames in England with illness – sores no doubt contracted due to the field conditions. Duncan continued to have some issues with illness, before rejoined his unit for a last, and fatal time on 2 June 1917. Duncan’s medals were sent to his mother at New Brighton, and the plaque and scroll to his father in 1921. His name is recorded on the memorial at the entrance to the Neve Eglise war cemetery Belgium. It is believed that 30 men of the 2nd Company, 2nd Battalion were killed the same night. Duncan is also remembered on the Roll of Honour at the New Brighton Museum (originally at the Central New Brighton School), the Memorial Wall at the Cenotaph in Timaru, and on the Peel Forest War Memorial. In 2017 some of Duncan’s family – great nieces and nephews – visited Ypres for the 100th anniversary of his death at Messines, paying tribute to his sacrifice.